N is for Nolan - After the enormous success of Christopher Nolan's last movie The Dark Knight Rises, and the end of his Dark Knight Trilogy, everyone is keenly interested in Nolan's next movie. And, as per usual for Nolan, he's not saying a word about it. That doesn't stop us from speculating, so here are a few things we know for sure about his new project, Interstellar. 1. The History - Apparently, Interstellar started in 2006 when Spielberg attended a Caltech workshop with physicist Kip Thorne. Thorne is well-known for his theories that wormholes could be used to travel through space. Steven Spielberg decided to produce a scientifically accurate movie based on Thorne's concepts, and Thorne wrote a treatment for a movie with producer Lynda Obst (Contact). In January 2007, Christopher Nolan's brother Jonathan Nolan was hired to turn the treatment into a screenplay for Spielberg to direct. Even though Jonathan finished the screenplay, Spielberg decided to produce Robopocalypse, instead. 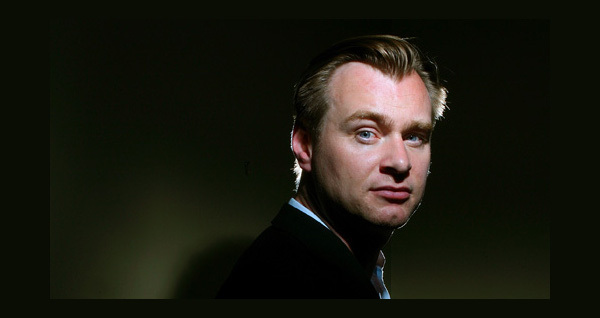 In 2013, Christopher Nolan took over the project. 2. The Story - The actual story for Interstellar is what we know the least about. IMDB describes the story as "an exploration of physicist Kip Thorne's theories of gravity fields, wormholes and several hypotheses that Albert Einstein was never able to prove." Thorne's research into wormholes led him to believe they could be used for time travel. In June 2006, Steven Spielberg announced he would direct a scientifically accurate film about "a group of explorers who travel through a worm hole and into another dimension." Jonathan apparently also introduced the idea that the movie would involve time travel. Christopher Nolan will be rewriting the script with another idea of his, just like he did with previous collaborations with his brother like Memento and The Dark Knight Rises. What that idea will be remains to be seen. 3. The Production - Anne Hathaway and Matthew McConaughey are reportedly signed on to star in the movie. Hathaway, of course, because a Nolan veteran with her role as Selena Kyle in Dark Knight Rises. We don't know what roles they play yet, but we do know the release date - November 7, 2014. The film is a co-production between Paramount and Warner Bros.
Are you excited about Interstellar? What do you think the movie will be about? Let us know in the comments. The brainchild of journalists Jayson Peters and Scott Kirchhofer, Nerdvana began as one of many staff blogs hosted by the Pulitzer Prize-winning East Valley Tribune. Today it continues under the Tribune’s parent company, 10/13 Communications, and is one of the publication’s most popular online verticals. It covers geekdom in Arizona and beyond. This post is part of the month long "A-Z Challenge." For 26 days, we'll be choosing a letter from the alphabet and recognizing 26 of our favorite geeky blogs. To read more of the posts in the series click here. To find out more about the challenge go here. Check the Facebook page and follow on Twitter using the hashtag #AtoZChallenge. "scientifically accurate" is code for boring, at least for mainstream audiences.